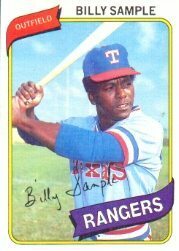 Billy Sample still loves the game. I admired the outfielder’s hustle during his too-short career. Hearing him broadcast was just as genuine. I felt he wasn’t showboating as a baseball scholar, but described game action like he was talking to a friend in the stands or a teammate on the bench. Even by mail, he didn’t disappoint. Although Sample logged just one year with the Yankees, the future broadcaster got a great introduction to the New York media circus. How was it? Best of all, I knew Sample had studied my letter. 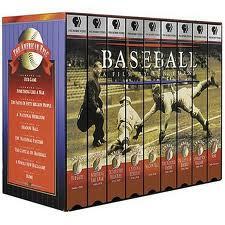 When I remarked in closing that my baseball “career” ended in Little League, Sample closed with a smile. That old one-liner made me think. If no one notices you in the majors, you won’t get a nickname. Even a questionable title means you’re getting recognized. 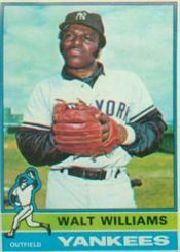 Williams racked up five hits in a 1970 win against Boston, a 22-13 slugfest. How did that feel?